Rayz-n-Sprayz is Decatur's premier tanning salon. Founded originally in 1999, it was purchased by Cindy Boettcher in 2004, and has since gone through renovations and expansions to make it Adams Countys largest tanning facilty. With a variety of indoor tanning beds that include three levels of tanning with a total of nine beds, we have a level specifically for you skin type and needs. An addition the VersaSpa Spray Booth was added in 2010 that gives an immediate, all natural bronze color that last five to seven days. We also offer WhiterImage teeth whitening that brightens your smile in fifteen minutes. All employees are trained and cerified through the International Smart Tan Network, giving customers the most professional, friendly service. 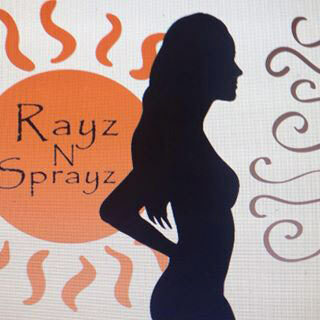 Rayz-n-Sprayz has been an integral part of the community for several years. We have contributed to numerous local charity events, high school fundraisers, and Decatur Operation Help. We also held a fundraiser in 2012 for the Adams County Animal Shelter and collected almost one thousand pounds of dog food, cat food, and kitty litter. Come visit us at Rayz-n-Sprayz! Walk-ins are welcome, appointments are recommended.